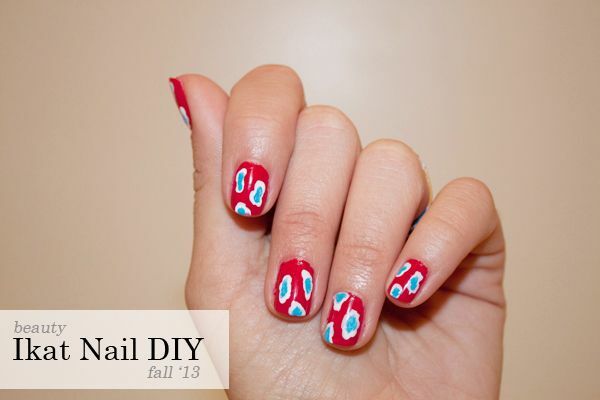 Who's ready for the easiest DIY mani ever? I've done the whole ikat nail wrap thing in the past, but I never realized just how easy (and inexpensive) it is to recreate the look yourself. It's literally as easy as one-two-three! 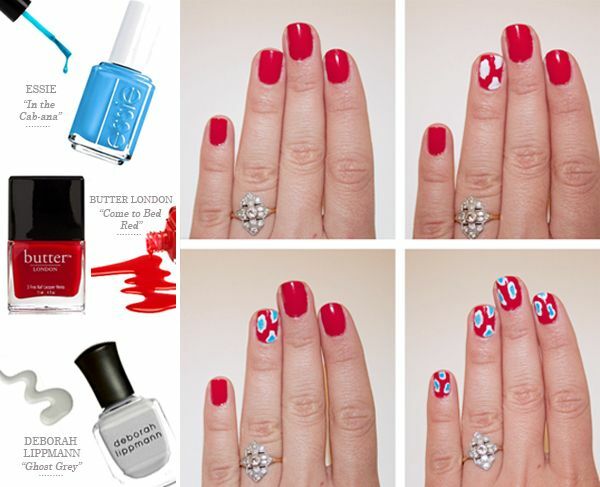 Just paint your nails a bold base colour (like red! ), and once that dries, make narrow, asymmetrical shapes in white. Using a small brush, paint your third colour (blue anyone?) in the center of the white shapes, finishing it off with a top coat... What a cinch! So fun! I love the colors you chose! Love how your nails look! The design looks so easy to do. I have to try this!